The 2017 ATA Show featured a lot of new products. We spoke with retailers from across the country to find out what products had them excited this year. As the owner of a full-time, archery-only pro shop, Scott King of King’s Archery Outfitters describes himself as a “dinosaur” in an industry that is seeing more part-time retailers and broader sporting goods stores. King worries about the impact that internet sales are having on independent retailers and kept an eye out for products that gave him a competitive edge. “So far, I think Mathews and Hoyt are going to be our bestsellers in the bow category this year. Nobody makes a bad bow anymore, but I think those two will be the dominant numbers for my shop." “Probably the coolest thing that I saw was the new Axcel AccuHunter Plus in the moveable pin arena. I think that was a pretty cool sight. You don’t usually say the word ‘economical’ with T.R.U. Ball or Axcel, but it’s a little more affordable. We definitely raised our threshold on the prices people will tolerate for sights over the last several years." “RPM had a throwable spear for fish. That was kind of niche-y, kind of cool. Obviously not something I’d bet the farm on, but it was a cool product." “We haven’t brought any of them in, but there’s no doubt the Ravin crossbow has some interesting technology. Really cool technology." “TenPoint made some interesting advancements. I like the fact that they have a dealer-only bow. I think the industry needs to take care of its dealers a little more." “There are a few companies out there that are still trying to take care of the dealers. I like Fuse for that reason. They’re not doing anything with anyone else." Does this product solve a problem? That was the question Phil Mendoza of No Limits Archery asked himself as he evaluated new products at this year’s ATA Show. “Aside from the staples — your bow companies, your arrow companies, your sight and rest companies — when I'm bringing in new products or budgeting money to bring in something new, I’m looking at something that’s going to help solve a problem, is functional or will positively impact someone’s ability to shoot a bow or hunt better." “That’s why I like the InSight peep system that Hamskea created. It takes into account many problems that archers and bowhunters have. The system resolves those problems. It takes into account many different lighting issues, the way that your eye perceives light in different situations, which is something that every target archer and every bowhunter experiences. It eliminates variables. That was something that was very attractive to me from the standpoint that it’s fixing a problem. That was an easy decision, and we haven’t been able to keep them in stock since we put our orders in. It’s proof that the consumer was needing that." “As a growing pro shop, we wanted to expand into something outside of the staple products but still stay with products that were dealer-specific, higher-end, would deliver a lot of value from a standpoint that they’re specialized products. That was why I was really attracted to Crispi Boots. They have dealer-protection areas. They have a high-end boot. They take into account different types of people and different hunting applications. It was something that I could supplement what we were already doing for our stock outside of actual archery-specific products that potentially has a place for some growth. We got out first order in two or three weeks ago, and we’re starting to work through that process." 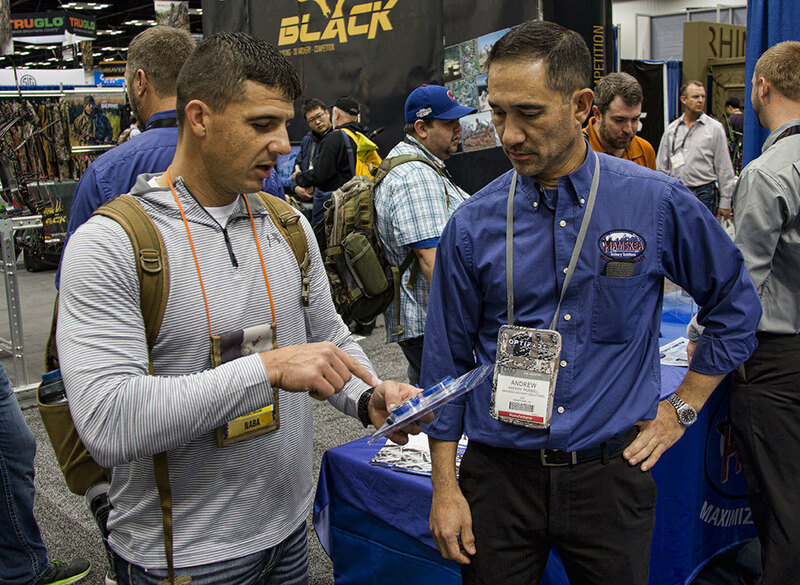 Featured photo: Phil Mendoza of No Limits Archery discussing new products at the 2017 ATA Show.